‘Sicario’ Sequel In The Works With Benecio Del Toro & Josh Brolin!!! ‘Sicario‘ came out swinging last year and received a slew of nominations for its effort, three of those for Academy Awards. 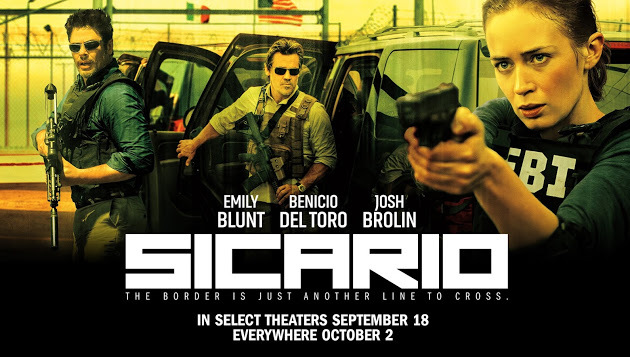 Emily Blunt, Benecio Del Toro and Josh Brolin starred in the drug war thriller. It told the story of an idealistic agent sent to flush out and eradicate a drug cartel responsible for the deaths of several members of her team. There was such a great turnout for the flick that a sequel is in the works and getting closer to a production start with plans to be in full swing by the end of the year. Lionsgate and Black Label Media is looking to a new director for the sequel, titled ‘Soldado‘ and the safe bet is on Stefano Sollima. While the director is changing, the script writer Taylor Sheridan, will be back with a script for ‘Soldado‘. The project will focus on Benicio Del Toro’s character, Alejandro Gillick and Josh Brolin’s CIA agent Matt Graver. The pair made it clear they are willing to do whatever it takes to hunt down the cartel kingpins. Their attention shifts to what is being smuggled across the border between Mexico and the U.S. in the tunnels that could smuggle anything and anyone across the border, including terrorists. This entry was posted on Thursday, June 2nd, 2016 at 1:31 pm	and is filed under Film, News. You can follow any responses to this entry through the RSS 2.0 feed. You can skip to the end and leave a response. Pinging is currently not allowed. « Julie Andrews Set To Star in New Kid’s Series for Netflix Involving Muppets!